This wall was created by Dreamsdesign3d a while back. I asked him several times to upload it but he wouldn't so I am doing it for him. I think it's great. Nice and clean and at the same time it manages to be eye-candy. He has many others I am hoping he will post once he gets a reaction to this one. Oh... he is fine with the fact that I uploaded this. very nice work, i hope he uploads more of his stuff, b4n. I feel threatened by it...not! This is some very fine work, clean, lean and mean. I like it. I agree with Denny. This design is well organize. The colors are mellow and attractive. Hope to see more of his work. This quite a lovely render! wow... this has got a very nice look to it... the refletions, shadows, and colors are portrayed very nicely.. 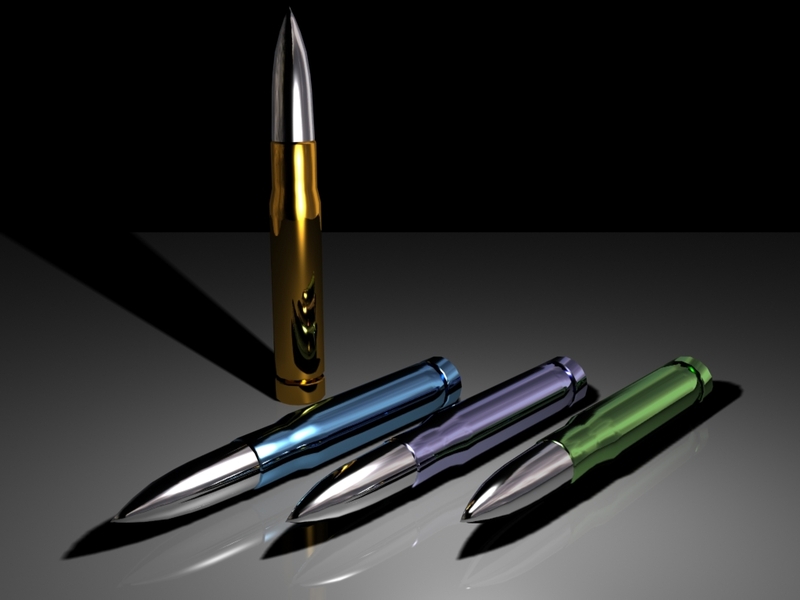 I see the bullets themselves are silver, so i assume they will slay a werewolf rather nicely, and with great elegance too!!! LOL LOL .. I knew this would look great in the wallpaper section. Like I said yesterday, very sleek design. I really like this. Dreamsdesign3d, you did a great job on this. I also would love to see more. If the rest of his work is as clean, crisp and sharp as this one, you could make a living uploading all his work. Very nice. and it got moderated out the door, so that is why I didnt want to try and post agin. Oh and by the way I see that 2 people have rated it and its at a 9 what do you all think would make it a 10 what do you think it needs? Would love to hear what you all think it could help me improve. Thanks for the wall. Nice render man. Very nice wall!!! i like the textures! Real nice attention to detail...I would love to push those through my Ithica.